Once you’ve chosen your date, there are many venues to consider, but just slow down for a second, close your eyes, and imagine what it looks like as you’re walking down the aisle. As you’re saying “yes” to the love of your life. As you’re celebrating with family and friends. Whether you pictured sand between your toes, a beautiful and scenic outdoor setting, or an intimate banquet room with an incredible view, Harrison Beach Hotel and the stunning village of Harrison Hot Springs can offer you the perfect, romantic venue for your wedding. 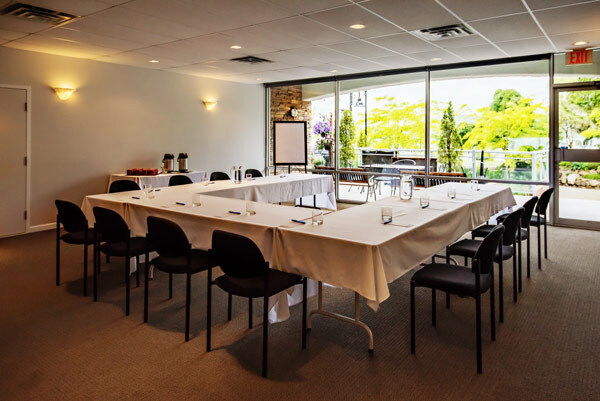 Our hotel’s intimate banquet facility has wall to wall windows across the front of the room with a gorgeous view of Harrison Lake. Seating 35 people for dinner or 50 people theatre style, this room can be used for your reception dinner or for your wedding ceremony if you choose to have your event inside. It’s also a perfect back-up plan if you decide to get married outside but are worried about inclement weather. The room is approximately 600 square feet with 8.5’ high ceilings and has a small patio deck in front. We can accommodate several set-up options, including round tables or long tables with chairs. Table cloths and skirting are also available. 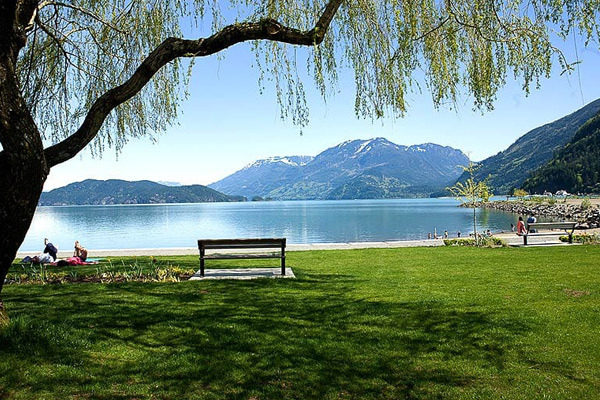 Located on Harrison Lake in the centre of Harrison Hot Springs, Harrison Beach Hotel is ideally situated for couples who dream of getting married on the beach. Exchange your vows and commit wholeheartedly to each other, surrounded by the natural beauty of sand, water, and mountains. Permits are required for beach weddings and must be booked at the village office. Contact us if you have questions or would like more information about getting married on the beach in Harrison Hot Springs. 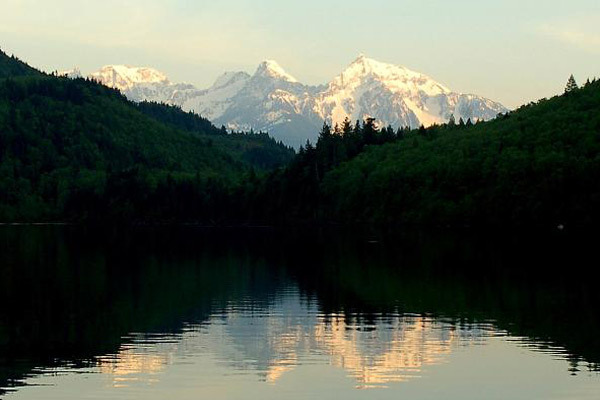 Located North of Harrison Hot Springs, Sasquatch Provincial Park is only a couple of kilometres from the hotel and is characterized by a series of pocket lakes, unique second-growth birch forest, and scenic mountain ridges. The Park has two main lakes and several lovely spots to host a wedding ceremony. Again, we’d be happy to provide more information on request.